Michael Lieb's research covers a wide and diverse range of interests. Most of his books concern the work and life of John Milton in the context of the literary, religious, political, and theological movements that distinguish the early modern period. Here, his most important work includes such books as Poetics of the Holy: A Reading of "Paradise Lost" (1981) and Milton and the Culture of Violence (1994). But Lieb has also moved beyond these concerns. His corresponding interests encompass the Bible and the exegetical and mystical traditions (Jewish and Christian) extending from biblical times to the present. These interests are made evident in two books:The Visionary Mode: Biblical Prophecy, Hermeneutics, and Cultural Change (1991) and Children of Ezekiel: Aliens, UFOs, the Crisis of Race, and the Advent of End Time 1998). Most recently, Lieb has completed a coedited collection of essays on Milton and a book titled Theological Milton: The Faces of God and the Heresies of Godhead, both under consideration for publication. In support of the research for these books, Lieb has been awarded long-term fellowships from NEH, ACLS, and the Guggenheim, among other agencies. 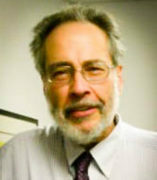 Recognition of Lieb's accomplishments by the University of Illinois at Chicago has come in the form of fellowships from the UIC Institute for the Humanities, and Lieb was named the Alan M. Hallene Senior University Scholar in 1988-90. In 1992, the Milton Society of America awarded Lieb the title of Honored Scholar, and Lieb's books and articles on Milton have on various occasions won the distinction of the James Holly Hanford Award and of the Irene Samuel Prize of the Milton Society. Because of its coverage, Lieb's Children of Ezekiel has attracted a good deal of attention, especially in its concern with the subject of Black radicalism. In connection with the book, Lieb has been interviewed many times on Black Access T.V., as well as on radio, over the past five years. He has likewise held phone consultation with representatives from "TwentyTwenty" (British T.V.) concerning a proposed documentary on various subjects relating to Lieb's book. Finally, Lieb has been the subject of an interview with "The Final Call," published under the heading "One-On-One" in The Final Call. During the course of his career, Lieb has taught a wide variety of courses at all levels, including not only undergraduate and graduate courses but seminars and institutes for postdoctoral faculty. His courses and seminars have included surveys of English literature, Shakespeare, Milton, epic, as well as work in the area of visionary experiences as they relate to the literature of prophetic and apocalyptic discourse.